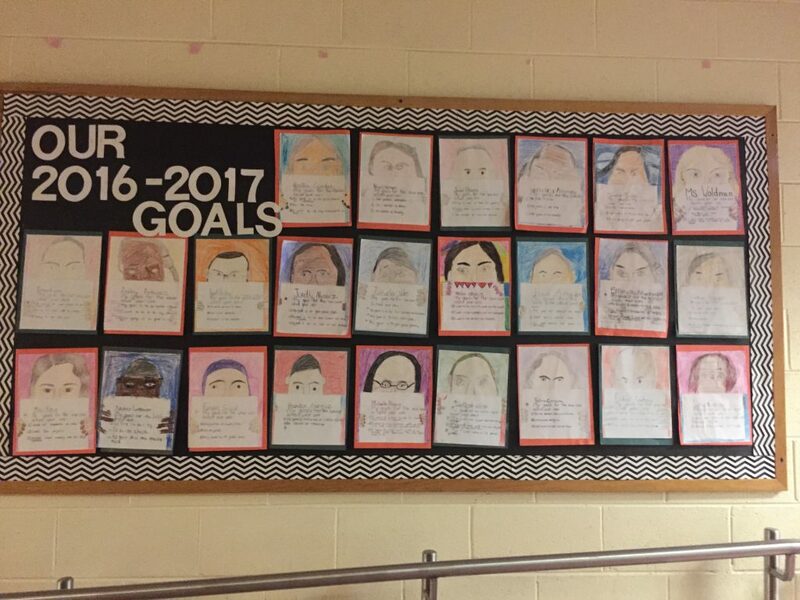 Students goals for this school year. It has officially been a month since I entered into this new season of my life, student teaching in Chicago. This semester is filled with great personal growth and numerous eye opening moments. Since being in Chicago I have gained information daily about myself, the stereotypes I held, and what it means to live life in the city of Chicago. Each day, I am faced with countless events that allow my narrow world-view to widen. This week as I write this post, I would like to share a few moments that have given me a new perspective of what it means to be a student teacher living in a big city. When heading to or from Hayt Elementary School, I spend 45 minutes on a red line train, and 15 minutes walking. During this time, it seems I am invited into the lives of the individuals whose paths cross mine. Coming to Chicago, I initially believed the city to be an area of solitude or rare engagement with strangers. This week I have found this assumption to be incredibly incorrect. One morning I saw that trains, despite my initial thoughts, do not isolate individuals. On the way to school I shared sorrow with a young woman, no more than 16 years old. This young girl was heading out to what she believed would be a normal school day, until she answered a phone call that changed her life. Though I only heard one side of this conversation, I knew this girl had just tragically lost a loved one. I have no knowledge of what, or how he passed, but as she wept bitterly the community of people on the train came around her. We knew at this time she needed support and love. Friends provided love and comfort through hugs, strangers provided tissues, while others lifted the hurt and pain of this girl up in prayer. The idea of isolation and brokenness is often solely present in people’s thoughts of Chicago. We overlook the good. However, as I sat praying for comfort for this young girl, the love of the people of Chicago, the very real people on my train, busted a stereotype present in my mind. This week while student teaching I also came to another realization about life. I CANNOT WAIT TO HAVE MY OWN CLASSROOM!! Don’t get me wrong, I have treasured my time thus far exploring fourth grade. Being able to spend time teaching reading, social studies, and science to these wonderful, young children this week has been nothing but a blessing. I love watching as a student who has struggled with a concept for so long finally gets it, the way his eyes light up with understanding, or when a shy student slowly begins to open up and draws you the most beautiful picture. Leaving all of this after watching the relationships form and the students grow sounds heart wrenching. These children have provided me with so much love in the past month, saying goodbye is what I dread most about student teaching. Finally, the lesson that I have learned about living life in the big city, is that it is imperative to find good in every experience. This week, between teaching three subjects at Hayt, being observed, class at Chicago Semester, and extracurricular events, I still found time to enjoy the moments these activities provided. 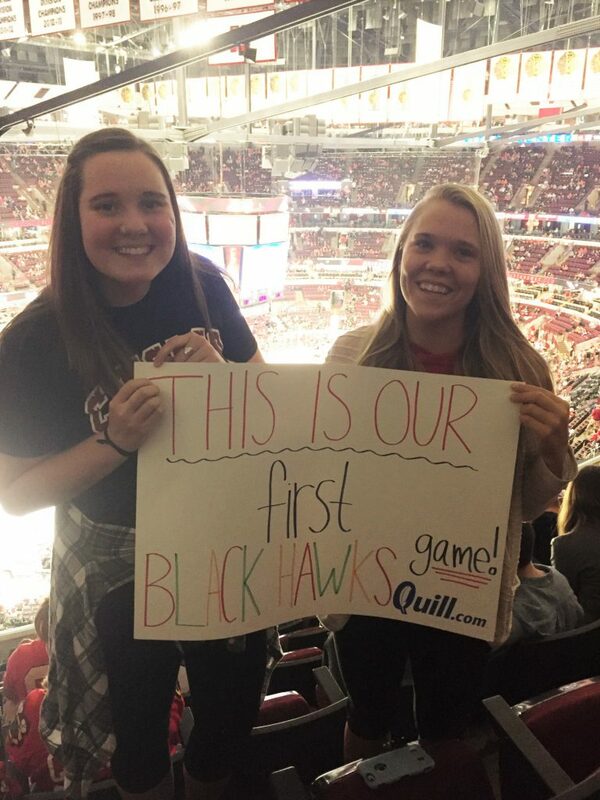 The most prominent example I can think of from this is the Blackhawks game I attended this week. Some of you are probably thinking, “Wow, this girl really is sporty. Last week the Cubs now the Blackhawks Game.” To you people I would say that is not entirely true. Spending the fall semester in Chicago means many sports teams (Cubs, Blackhawks, Bears and Bulls) will be in season while I am here. That being said, I have challenged myself to attend a sporting event from each one of these teams throughout the course of the semester. During my time leading up to the Blackhawks game I was dreading taking the time away from planning and preparing my lessons. However, by going to the game I was able to forget just briefly about all that had burdened and stressed me this week. The game provided me an escape from my routine, which I am learning is okay from time to time. I hope you enjoyed a brief look into the growth I have felt this week. For more on Sam’s experience click here.